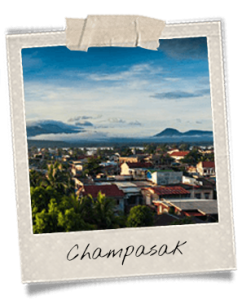 Not far from the Thai border, in southern Laos, lies Pakse, capital and most populated city of the Champasak Province. It is located at the confluence of the Mekong and Se Don Rivers, and used to be a part of the grand Khmer Angkor Empire. Nowadays, Pakse preserves architectural remnants of the French colony period, and tend to be a budding tourism place. Indeed, because of its proximity with Thailand and Vietnam, Pakse is a good venue to take a break during a trip through the area. 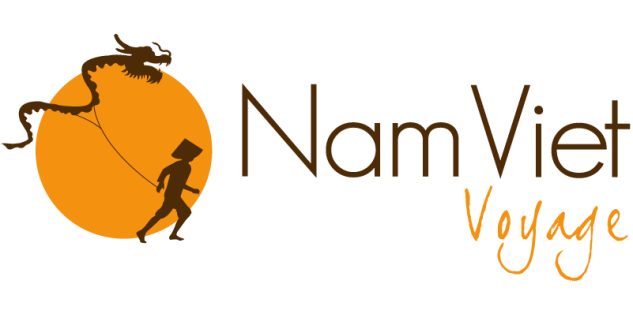 It is also the perfect place to rest and visit Champasak Province, which provides many interesting activities, the first certainly being the Wat Phou archeological site. 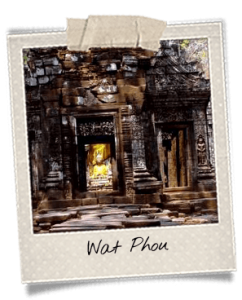 The Wat Phou site is UNESCO Heritage listed. It is often dubbed “Angkor of Laos,” and actually used to be part of the grand Khmer empire, along with the rest of the Champasak Province. For that matter, Wat Phou was constructed by Suryavarman II, the builder of Angkor Wat, in the 12th century. It stands as the Hindu vision of the relationship between nature and humanity, and comprises the Men’s and the Women’s Pavilions. The site was erected backing onto Phu Kao Mountain. Champasak is small provincial town located 35 kilometers of Pakse. The city grew around a main street parallel to the river. Activities are not numerous in Champasak nevertheless, it is a quiet and tranquil venue where it feels good to recharge batteries. Architecture still shows marks of the French colonization and the atmosphere is laidback enough to enjoy a ride on bicycle or tuk-tuk. The Wat Phou site is located near there, about 8 kilometers away. Xe Pian National Protected Area is also close from Champasak. At the Cambodian border, the Mekong River turns into rapids that form numerous isles and islands and which gave their name to the place, Si Phan Don, meaning “4,000 islands.” There is no way for boats to pass this area which is thus the reason why the Mekong River is unnavigable from China. 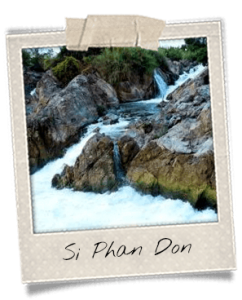 For that matter, French built the first railway in Laos in order to be able to carry goods from one end to the other of Si Phan Don. There, nature grows wild and the riverine archipelago displays magnificent gems. Besides, some Irrawaddy dolphins, an endangered species, live in the area. 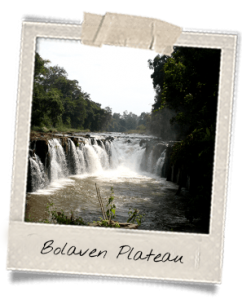 The Bolaven Plateau stands northeast of the Champasak Province. Not very touristic, it is best known for its temperate climate, its fertile soil and its sumptuous waterfalls. Famous Arabica and Robusta coffees, along with fruits, cardamom and rattan are cultivated in the area. Waterfalls spread everywhere in the plateau but the most impressive falls may be Tad Lo, which is actually a series of three falls. Besides, Bolaven means “home of the Laven,” which is the name of an ethnic group living in the region. 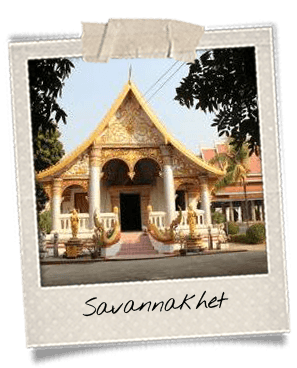 Savannakhet, often dubbed “Savan,” is the name of a province and its capital city, near Pakse region. The city tends to be more and more important in terms of tourism especially since the second Lao-Thai Friendship Bridge was opened to public in 2007 to connect the town to Mukdahan, on the other bank of the Mekong River. Ecotourism is also developing thanks to the proximity of three Natural Biodiversity Conservation Areas. Besides, Savannakhet City features a historic downtown comprising colonial houses.